It is recommended that participants register as early as possible due to set limited seating in each course. Seating in courses will not be reserved until a registration form is completed and a payment is provided. Registrants will receive a confirmation email, fax or a printed copy if registered in person. Registration forms sent in to office after 5 PM will be processed the following business day. Please make sure to write on the top of the registration form language and class date (s) of the training you are registering for. Course Fees are due in full in order to be eligible to receive course completion materials. Course fees include cost of training as well as learning materials, handouts and manuals distributed during the course. Acceptable forms of payment include credit/debit charge cards (AMEX, DISCOVER, MASTERCARD, VISA), company or personal checks, Money Orders or cash. Vouchers or financial aid is not accepted. Payments made with a company or personal check are subject to a 7 business day clearance before course completion materials can be released. Discounts, sale prices, and promotions cannot be combined with any other ongoing promotion or discount code. Some discounts/promotions may require a special discount code to be applied online during checkout or may only be redeemed in-person at one of our locations. Attendance in full is required to be eligible to receive course completion materials. Makeup sessions are available for some courses. For further information, contact the TSCTA Training Department at 718-389-2103. Students are required to be on time for all training. Students arriving to the training in excess of 30 minutes may not be permitted to take the course pending on the instructor’s discretion. For trainings that meet on multiple days, students must attend each session of training. For trainings where a pass or fail exam is administered in order to complete the course, students must all attend all sessions of the training and makeup time will not be permitted. Please do not register for an event if you are unable to attend each session in its entirety. Students are required to independently read and answer exam questions in the language of the training. Students in need of special accommodations when taking any exam should notify TSCTA at the time of registration. Students must obtain a minimum score of 70% to pass the class and receive the course completion materials. * Exception: Fire Safety training courses allow students to retake the exam within one week of the original class date. If they do not pass the second exam, they are required to retake the entire course at a discounted rate. VALID PHOTO IDENTIFICATION is required of students to present at start of each course (for multiple day courses – IDs will only be collected on the first session of training). Accepted forms of ID include: driver’s license, state ID, passport, Green Card, work/school ID, or any other ID that contains student’s picture AND FULL LEGAL name (no nicknames or abbreviations). Failure to provide ID will result in delay of course completion materials being released to student. Students should also bring notepads, paper, #2 pencils and other writing utensils. TSCTA is not obligated to provide these materials to students. 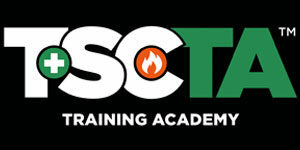 The Training Director (TD) will monitor conditions that may disrupt TSC Training Academy activities. If conditions warrant, the TD will make the decision to cancel or postpone the start time for classes at each of TSC Training Academy’s (TSCTA) metro area locations. TSCTA notify the media of any class cancellations or closings. Contact the College at 718-389-2103 for information concerning class cancellations or location closings, or monitor the following media channels.